I hear that. have a bunch of vintage stuff and maintenance is definitely a part of ownership. something you have to either choose to live with or decide you can’t. totally get your decision. funny you mention the Polysix, I adore that one too. it’s a funny counterpart to the M/P, in that there’s tons to explore in the M/P and very little in the P6; but it pretty much sounds awesome no matter what you do. My latest purchase I got are roland drum triggers so I can play an analog rtym mk2 with my real kit. Oh snap! I was just looking at those on YouTube! Be sure to check this one! it’s enough to bring tears to my eyes! 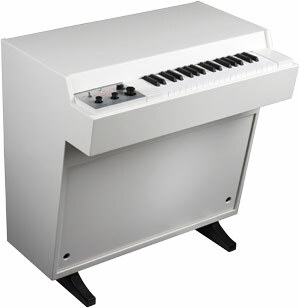 One way or another, I don’t think I’m owning a mellotron. I do have the plugin though, so at least I have a sound source for those sweet tones! That would certainly be more convenient than having to use the plugin I have! Ah, which one do you use? do you like the sound? The 4000d soundbank is a proiori much clearer sounding, less “vintage” because it reproduces the original master tapes. on the opposite most VST soundbanks are sampled from vintage machines. I guess this won’t be the case for everyone though! 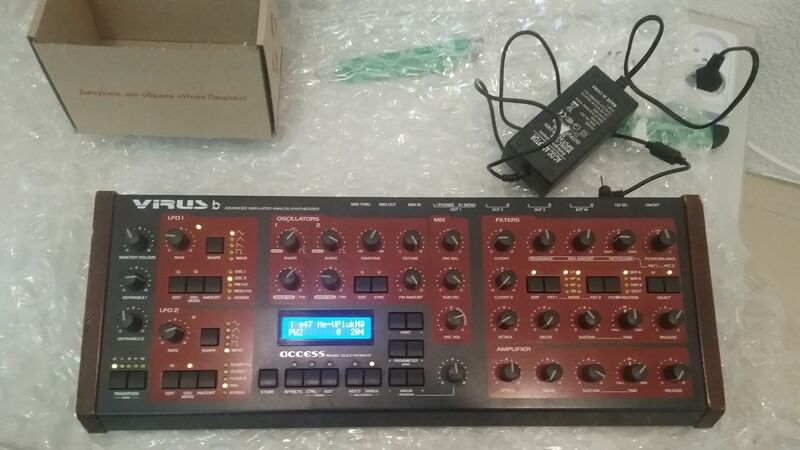 will be a pair with my Command Station for a live rig to occupy all 12 channels of the mixer. Where can you get them? I was thinking about getting one just in case mine starts acting up. DSI Evolver - awe inspiring sound with unfamiliar features, huge modulation possibilities and wicked sequencers. Analog Rytm - atm just defining a workflow, and discovering just how much better a ‘drum computer’ it is than the DT. Still, I’ll use them all to create some boring techno and challenge myself with something more esoteric/ filmic. Sample-based Nord keyboards (eg. : Electro series) come with many well-crafted Mellotron samples. I’d get a second hand Electro 4D anytime before considering this unit. Finally got a Keystep with the intention to do some dawless sequencing of sequencerless polysynths like my System-1 or Kingkorg. Great alternative. But as many vst plugins alternatives this not exactly the same thing. The mellotron 4000d is the direct digitalized sound of the master tapes (clearer) runnning through a mellotron behaviour modelisation (via polyaftertouch, modulation…). A go-to on my vox recording chain for now, at least until I get the SA1073EQ. Not sure I like the KT on the master, its quite coloured, although it doess add lowend bloom and “3D spatiality” to program material… Something about the texture of the sonics, quite coloured sound, wouldn’t use it where transparency is required. Would be interesting to A/B against other pultec clones like the SA pultec and the tegeler audio units, surely they must sound more transparent? So atm my intentions with this eq is to use it mostly on vocals & kick/bass, or to inject texture and grit to whichever sound benefits from it. Got myself a fancy new coffeemaker. My intentions are to make way too much coffee and stay up all night surrounded by blinking lights. Digitone! Just picked it up 30 minutes ago. Bought the Octatrack MKII last week. This will go with the TR8S, SH01-A, and Strymon Timeline from two weeks ago. Chicken Pad See Ew. I may eat it for lunch, or I may let it eat me for lunch.